I’ve been rocking the Niner SIR steel hardtail since 2013. It’s been a fantastic ride, I still enjoy the snot out of it. The 3x10 drivetrain is a smidge old, considering upgrading it to the current XT 1x11. But in the meantime, I’ve been itching to get a full suspension bike to handle some of the more extreme trails around CO/UT. Asking for general advice, but happy to hear anything you’ve got to add or just chat full suspension MTBs. The local shop is offering some closeout Demo Yeti SB4.5 and SB5.5 bikes for 40% off (XT drivetrain and brakes). 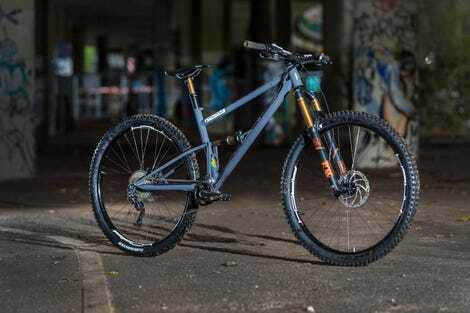 I’m generally opposed to carbon frames on a MTB, somewhat concerned about expensive repair bills- though I’ve never smashed my steel hardtail on anything so perhaps this concern is unwarranted. Note that as a demo bike, it’s been rented out for a full year at this point. It should be in good shape, but won’t be without wear and tear. At £2040 (Roughly 2675USD) for the frame, it would be an expensive build, but fully custom geometry and custom color powdercoating. I’m significantly partial to steel, particularly the Reynolds 835, and I’ve got the resources to build bikes on my own. Other pros are the single-pivot suspension which offers less maintenance and only a single set of bearings. So, I dunno! Thoughts? Input?